It seems like most people, when asked to imagine a knight, picture a strapping man in shining armor atop a horse. 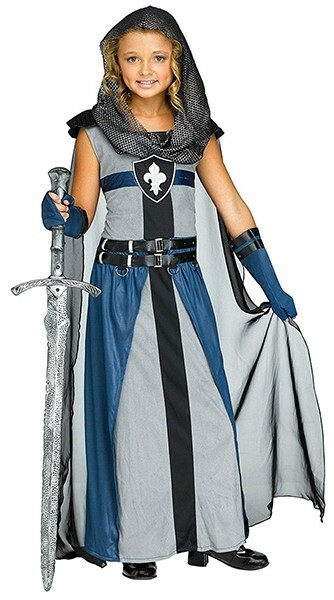 We'd like to change that, and we think this girl's warrior knight costume is a great start! 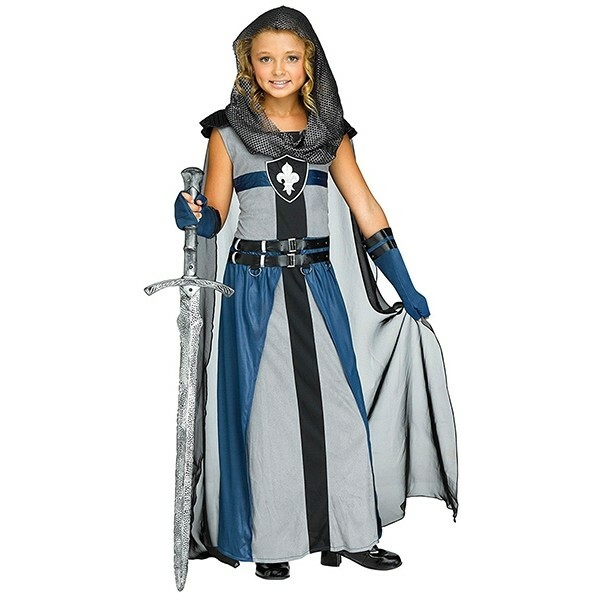 This costume is made with textured fabric that is soft and comfortable to wear. 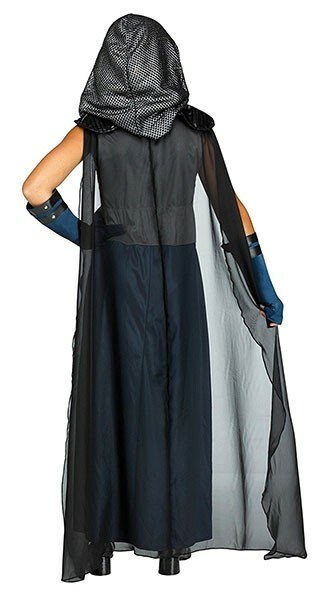 This set comes with a gown with an attached cape, hooded cowl, and fingerless gloves. Please note: the sword is not included.